The smell hits you in the face before you can put your key in the door. An aromatic mixture of wet dog, aggressive sweat, and stale Fritos wafts through the air, stinging your eyes and assaulting your nose. It’s so bad, you can taste it. You left your wet, sweaty gear in a pile in the basement last night. In your rush to get out the door this morning you forgot to hang it up to dry, instead leaving it to fester in its own filth for another 12 hours. If there’s one thing that will make a bad smelling pile of gear worse, it’s time. Now you’re standing at the precipice of your mistake, mentally preparing yourself to deal with the funk. I hear you. The struggle is real, but we must overcome. That’s why I have The Shower Rule for post-adventure. The rule states: I am not allowed to shower until all of my wet, gross, manky, stinky, funky gear is hanging up to dry or otherwise dealt with sanitarily. I made this rule because the only thing I want to do when I get home is go to bed, but I absolutely won’t go to bed unless I’m clean. The same rule should apply to my gear. If you’re the type of disgusting human who climbs into bed all gross after a day out, then this rule doesn’t apply to you and we probably shouldn’t be friends in real life. But if you want gear that lasts longer and housemates who don’t hate you, I recommend instituting The Shower Rule. Why punish yourself tomorrow for that which can be done today? At the very least, it will keep your mouth free from the taste of manky gear. Kris!!!! I love love love this, i believe in the shower rule…btw i miss you!!! Ahh thanks Jura! Looks like you’re getting out a bunch! Yes! High five Kristina! Such a good rule, and way tonget published! Highest of fives right back atcha! 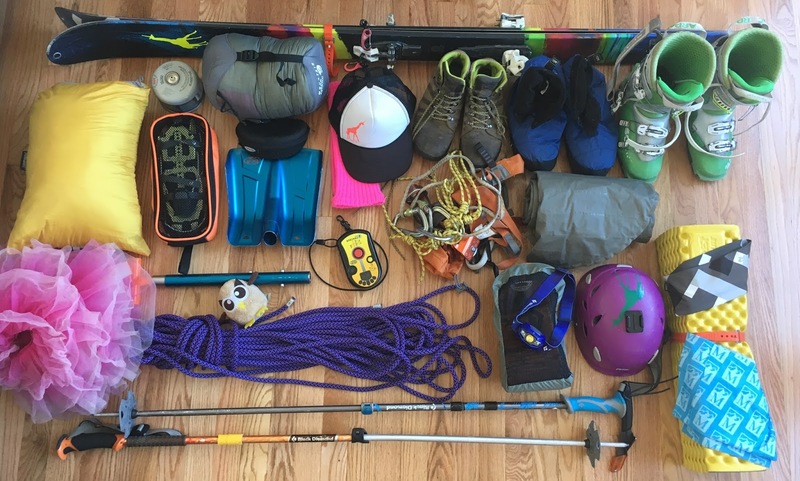 I love and also utilize this post-trip gear breakdown technique! I might add that by placing a cold IPA next to the bathroom sink actually makes the process occur faster, and the shower taste oh-so-much sweeter. Ooh, I had NOT thought of that. Definitely adding that to the post-adventure program (assuming I’m not too tired or too drunk already). The problem is, I need my shower space to hang up my wet gear to dry, so I need to shower first, lol. It’s the very last thing on Earth you want to do, but so worth it!! Great rule Kristina, and great writing! Ha! This is an awesome read and so true! We definitely abide by that in our house!